Each highly respected artists in their own right, blending instinctively and presenting a unified front, they create a sound with depth, groove and musicality of the highest order. The sheer energy and variation in repertoire they lend to their live performance has set the Alan Kelly Gang apart from the mold and won them accolades from critic and music lover alike. The Alan Kelly Gang present an exciting mix of contemporary infused traditional Irish music full of creative interplay, imaginative arrangements and carefully selected influences from neighbouring Celtic countries. Since 2010, the Alan Kelly gang have regularly collaborated with Scotland’s internationally acclaimed and mesmerising songstress, Eddi Reader, of Fairground Attraction fame and Trashcan Sinatra’s guitarist and songwriter, John Douglas. In addition to selling out several Nation wide tours around Ireland and being described as ‘an astonishing concert’ by Scotland’s The Living Tradition magazine, this Irish/Scottish collaboration has helped gain wider popularity for the Alan Kelly Gang. More info on the Alan Kelly Gang w/ Eddi Reader & John Douglas. To date, the Alan Kelly and his gang have toured and performed across the globe from America, Canada, Scandinavia, Japan, Australia, New Zealand, UK and throughout Europe at top world, folk and roots music festivals including: WOMADelaide (Australia), Edmonton Folk Festival (Canada), National Folk Festival (Australia), Winnipeg Folk Festival (Canada), Port Fairy Folk Festival (Australia), Celtic Connections (Scotland), Blue Mountains Music Festival (Australia), Celtic Colours (Canada), Festival de Cornouaille (France), Festival des Traversées (France), Guinness Irish Festival (Switzerland), Festival of World Cultures (Ireland), Galway Arts Festival (Ireland), Ballyshannon Folk Festival (Ireland) and Cork Folk Festival (Ireland). Plus, a particular highlight was an invitation from legendary Irish rock band, Horslips to open for them including a performance at Dublin’s O2. Individually they have worked with people including: Lúnasa, The Cheiftains, Carlos Nunez, De Dannan, Michael McGoldrick, Karen Casey, Arty McGlynn, Cathal Hayden, Matt Molloy, Alison Brown, Paolo Nutini, Karen Matheson, Kate Rusby, Karine Polwart and Shooglenifty, among others. With strong dynamics, driving rhythms and buoyant harmonies, skillfully executed and soulfully delivered, their music will draw even the most fainthearted listener into the passion that they put into the music they play and keep one coming back for more! Most definitely ‘a drive and energy that will keep the chill out of the coldest winter night’ (Folk Radio UK). 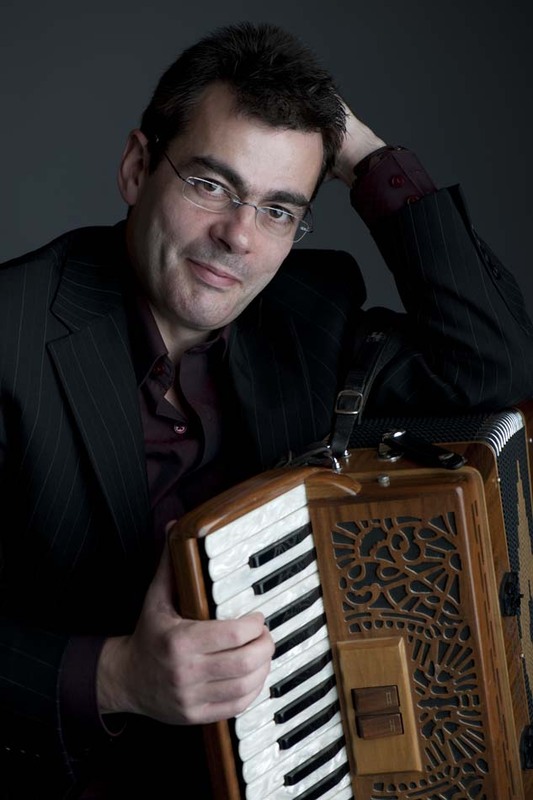 Described by New York’s Irish Voice as ‘in league with the best piano accordionists in the world’, Alan Kelly is regarded as one of Ireland’s most accomplished musicians in any genre. 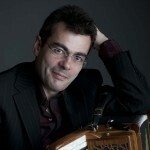 He is a piano accordionist, composer and arranger, utterly at home in his own skin. Though Alan hails from the rich traditional musical landscape of Roscommon, in the west of Ireland, variety in repertoire is one of his hallmarks. To date, he has released three critically acclaimed solo albums: Out of The Blue (1997), Mosaic (2000) and After the Morning (2009) which was named as one of the ‘top ten musical highs of 2009’ by the Irish Times who gave it a coveted 5 star review and described it as a ‘humdinger of a collection’. He has also released a critically acclaimed duet album with his brother John, Fourmilehouse (2003) and his more recent Alan Kelly Gang releases, Small Towns and Famous Nights (2011) and The Last Bell (2014). His critically acclaimed 1997 debut album Out of the Blue exploded onto the traditional scene with such impact that he is generally credited with ‘making the piano accordion hip again’. During this time he also recorded and toured with Mancunian, Michael McGoldrick on his groundbreaking albums Morning Rory 1996 and Fused 1999. Also in 1999 Alan toured with music Network’s ‘Best of Irish’ nationwide tour performing alongside such heavyweights as Cathal Hayden, Karen Casey and Michael McGoldrick. July 2000 saw the release of Kelly’s second solo album Mosaic. Produced by Arty McGlynn, Mosaic’s South American rhythms and cinematic jazz feel brought Alan’s music to a whole new audience. It showed not just what a good writer he is, but the breadth of his musical imagination. Mosaic was voted one of the ‘top ten trad albums’ by both the Irish Times and Hot Press Magazine. Irish Music Magazine also nominated Mosaic for ‘Best Crossover album’ of the year alongside Solas, Afro-Celts, and Sharon Shannon. Alan Kelly and the Mosaic Band quickly established itself as one of the hottest live acts on the Irish scene with its exciting blend of traditional, salsa and jazz rhythms, and propelled Alan onto the World Music stage. In 2003, Alan returned to his Roscommon roots and released the beautifully forthright and traditional Fourmilehouse, with his brother John, which received critical acclaim both at home and abroad and continued to pave the way for festival and concert appearances all over the world. 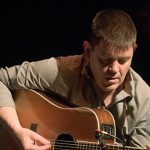 For the last number of years he has been touring as a regular member of the Eddi Reader band and promoting his own group, the Alan Kelly Gang. A genuine musician, Alan’s playful, experimental approach to music has been described as magical, joyous and uplifting… always performed with flair and taste. Alan doesn’t just play the accordion, he celebrates it in a way that draws you into the passion he puts into the music he plays. Bringing a sweet, soulful yet energetic air to her music, Steph is a vibrant and versatile musician who officially debuted on the scene in 2009 with the release of her critically acclaimed album, The Open Road. Described by Irish Music Magazine as “one of the most promising young flute players around” and “an unexpected treasure”, The Open Road was also named as one of Folk Worlds ‘top ten trad albums of 2009’. Taking inspiration from the Irish greats, such as Matt Molloy, she has also delved deep into other world music traditions giving her music a fresh perspective with depth and maturity. Though being a long-time Irish resident, Steph hails originally from New York where she first began playing traditional music. It was there she studied World Music, working with legends such as experimental jazz hero, Anthony Braxton. She later traveled to India to study the Bonsuri under PT Ginde, disciple of the legendary Panal al Gosh and then moved to County Sligo. Taken under the wing of several of the noted players from that area, she spent many years surrounded by great traditional stalwarts, such as Peter Horan, with whom she played with regularly for many years. 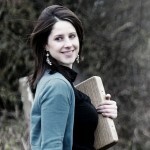 She has collaborated with prestigious theatre companies from Edinburgh to Galway to the US including Galway’s An Taibhearc and the New York based, award winning & avant-garde, Mabou Mines, in their production of Peter and Wendy, on the original score composed by the late Scottish fiddle player, Johnny Cunningham. 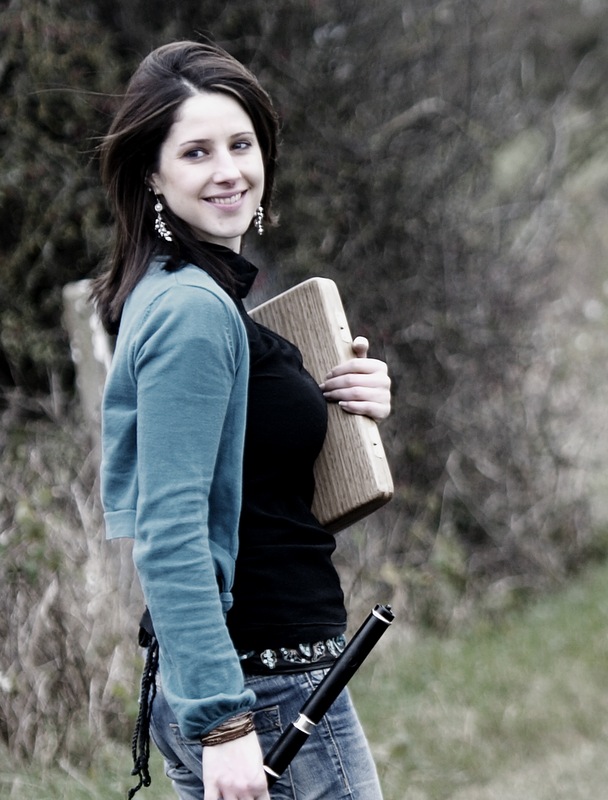 Steph has performed at top festivals worldwide as a member of the Alan Kelly Gang and has performed and toured with icons such as The Chieftains, Eddi Reader and Johnny ‘Ringo’ McDonagh. Alasdair White hails from the Isle of Lewis, one of the Gaelic speaking Outer Hebrides (Scotland) where music and culture remain strong daily forces. 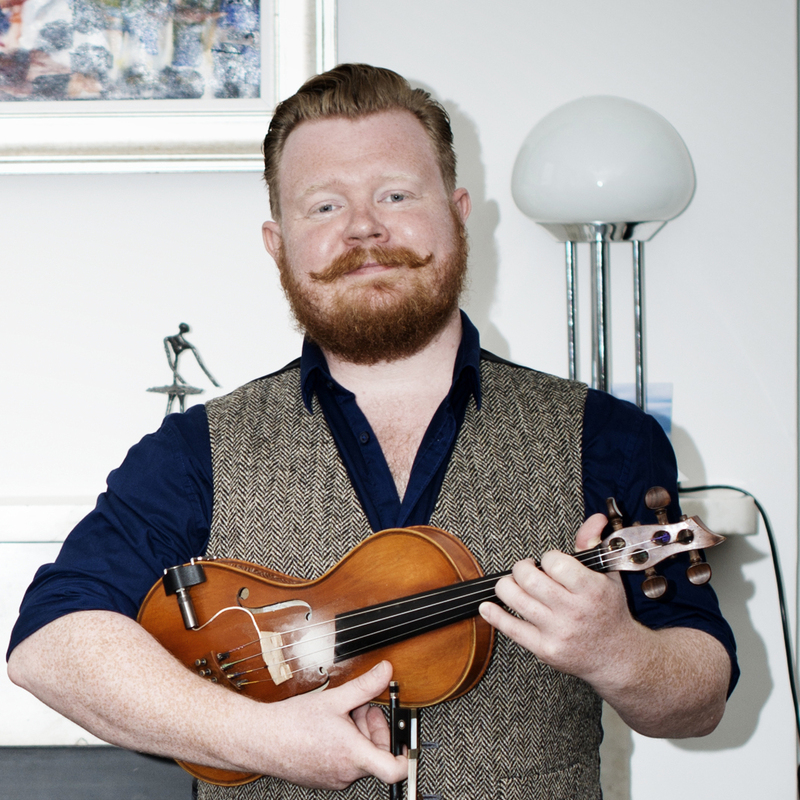 He is well known as the Battlefield Band’s virtuoso fiddle player and has been an award-winning fiddler since he emerged at the age of thirteen, when praised by The Scotsman as a “13 year-old maestro of the Highland fiddle playing surging strathspeys and reels with maturity and expertise beyond his tender years”. He joined the Battlefield Band at the age of 18, as complete a musician and composer as any had heard. Since then, he has toured the world several times over and worked on many fine albums including a highly acclaimed debut solo CD, confirming his reputation and firmly establishing himself as a unique talent & virtuoso fiddle player. In these past few years, his musicianship and writing have had a great influence on the Battlefield Band’s repertoire and continuing success, and playing with them has given him the wider audience that his music deserves. Shane has been described as the ‘perfect guitar player’ with immense ability to produce the ideal backdrop to any given melody. Well known to North West audiences Shane is part of a family steeped in music and is son of renowned Sligo flute player Harry McGowan. Shane is very much in demand for his accompanying skills and has performed with many top musicians including Matt Molloy, Máirtin O’Connor, John Carty, Mayo box player David Munnelly and Lúnasa.